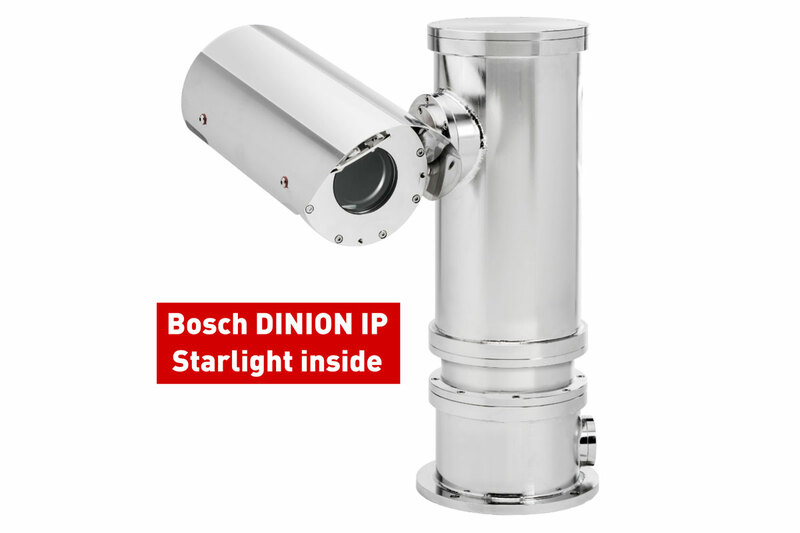 The EXPTZTB Series has been designed to integrate Bosch Dinion IP Starlight cameras together with Autofocus motorized zoom lenses. It is compatible with Bosch systems. Thanks to this unique solution the high-end advanced features of Bosch cameras can be paired to the advantages of an Explosion Proof PTZ solution. The smart design of our EXPTZ allows the integration of a fiber optic media converter into its base mount Exd junction box for direct fiber termination into the PTZ. Optional integrated fiber optic media converter. No need for external Exd junction box. Fitted as standard with sunshield, heater/demister, wiper.